Eyes were rolled, sniggers were heard. Someone in the audience wolf-whistled mockingly. When the audition was shown on prime-time TV a few months later, those watching at home scoffed at her in just the same way. Bushy of eyebrow, wild of hair, she looked as far from their idea of a star as it was possible to be. Little did they know the following seven minutes would create one of the most memorable TV moments of all time – and Susan would be well on her way to becoming a global superstar. The fact it belonged to that dumpy wee Scottish woman made it sound all the sweeter. Judges Simon Cowell, Amanda Holden and Piers Morgan soon started to show their appreciation. The Scottish audience, always quick to get behind an underdog at the first glimmer of talent, were soon cheering and on their feet. Susan had only decided to audition as a tribute to her late mum, Bridget, who had always believed in her talent. Bridget had told Susan to do what made her happy – and for her, it was singing. She didn’t believe she’d get that reaction, let alone launch a career. She just wanted to do it for Bridget. Watch the audition again and you notice the details. That she didn’t wait to hear the judges’ reaction and began walking off stage on finishing her version of I Dreamed A Dream from Les Miserables. The attitude of the audience before she starts to sing – unkind, jeering and sneering. Her tears at the amazing reaction – real, genuine, wet tears, not showbiz sobs. Of course, TV audiences are a lot more cynical these days. We know now that TV producers set moments up and manipulate our emotions, that the judges might not have been as unaware of Susan as was made out at the time. 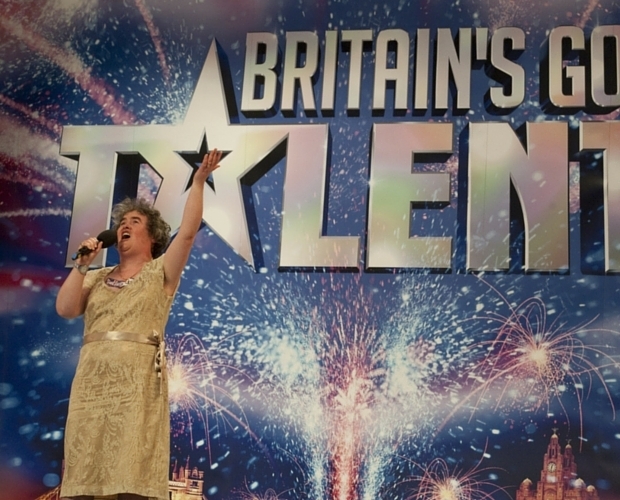 As a moment, a way of launching a star, Subo and her incomparable voice being unveiled to 10 million unsuspecting TV viewers on a Saturday night in April 2009 was simply TV gold.